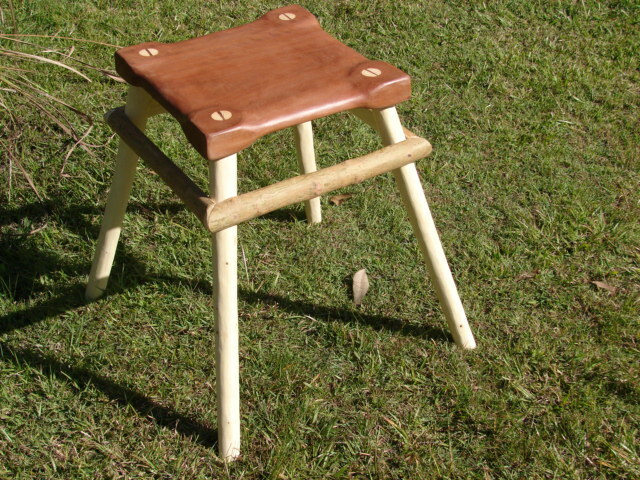 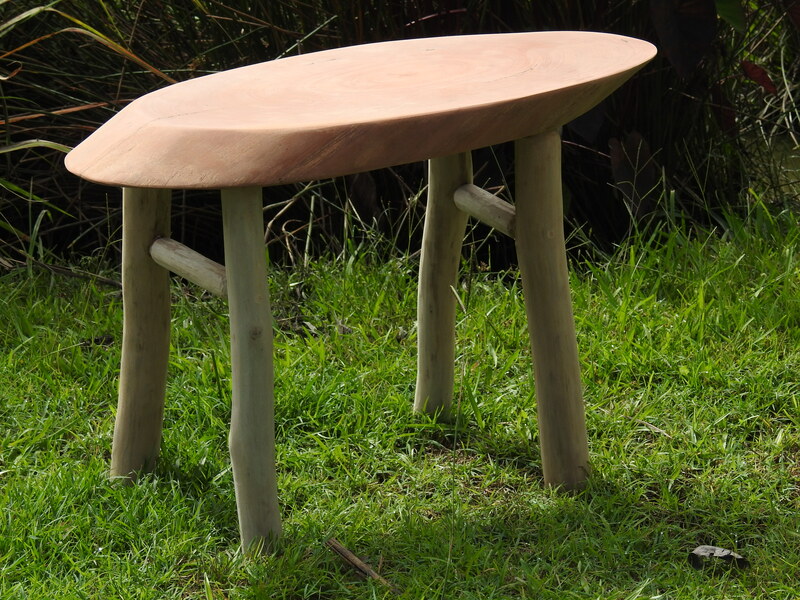 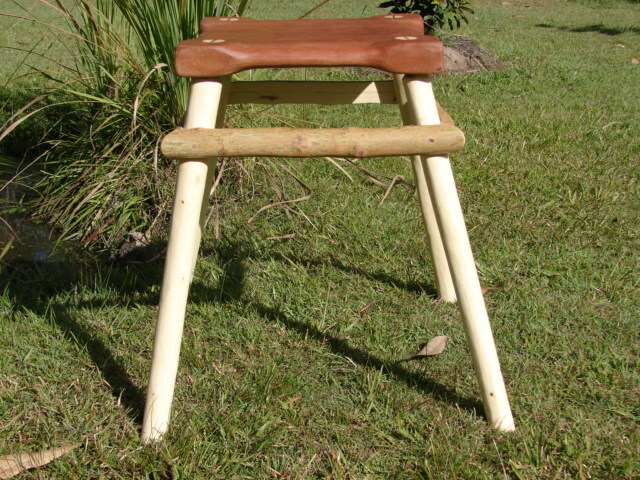 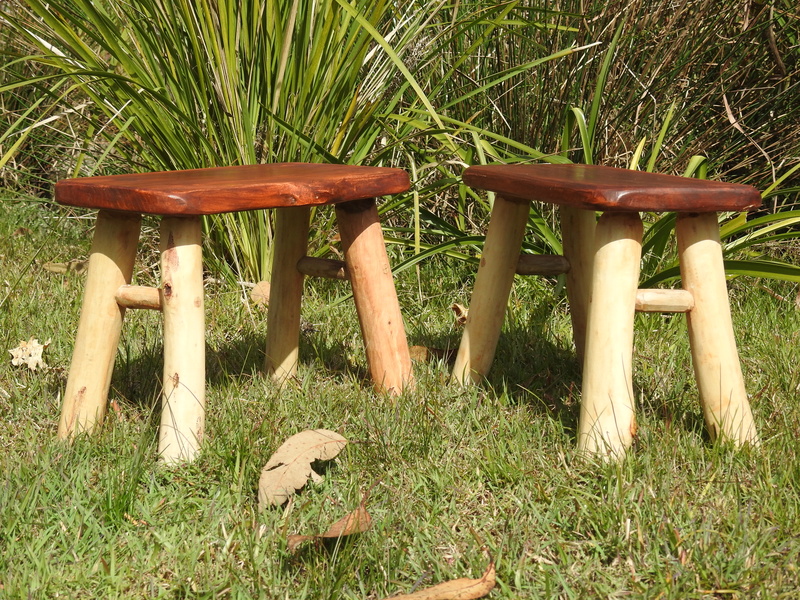 Red gum stick chair using Swamp Turpentine sticks for the legs and Soft-fruited Teatree (Leptospernum brachyandrum) in the hardwood stick back. 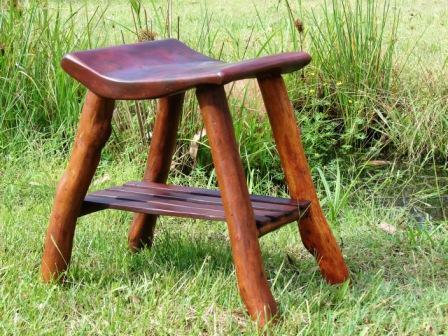 I have not seen another furniture piece using this wood before. 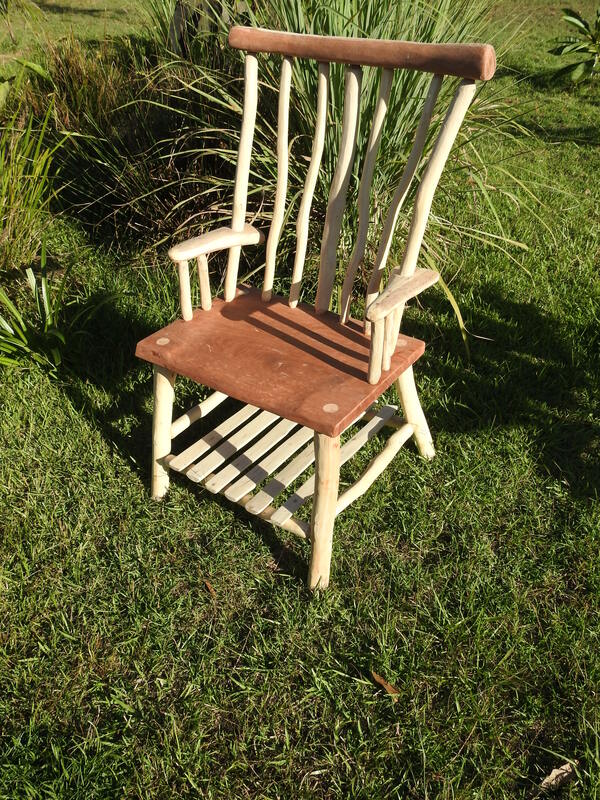 Finished naturally with Carnauba waxes. 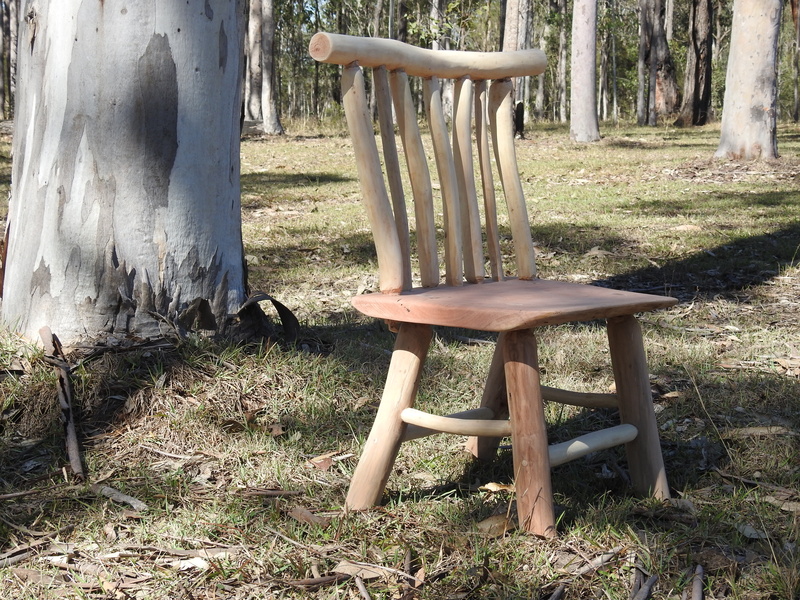 Hand whittled Red Gum and Red Ash Stick chair finished in Carnauba wax.